November Gratitude Special - YOU choose the Charity! 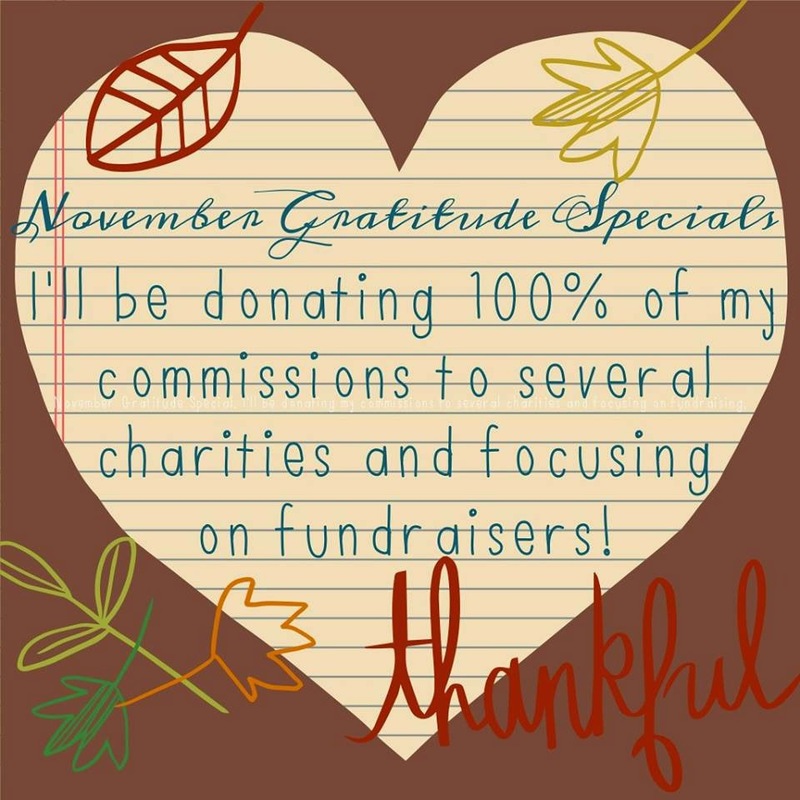 I will be donating 100% of my commissions to charity during November, 2014. Now is YOUR chance to help decide who gets the money! Feel free to share with friends and organizations to vote your charity to the top! What Charity should Noel donate her commissions to in November? Vote or click Other to nominate! Click on this link to get your FREE app! Use it to read my new book! TODAY ONLY it's just 99 cents! Compiled by Carla Wynn Hall, author of The Paradigm: Success Codes for Life and the founder of the Women's Empowerment Network, a Facebook Support group with over "25,000" members - Empowered Women of Social Media: 44 Women found their Voices using the Power of Social Networking is a book about women who were able to write their story and have their voice be heard. 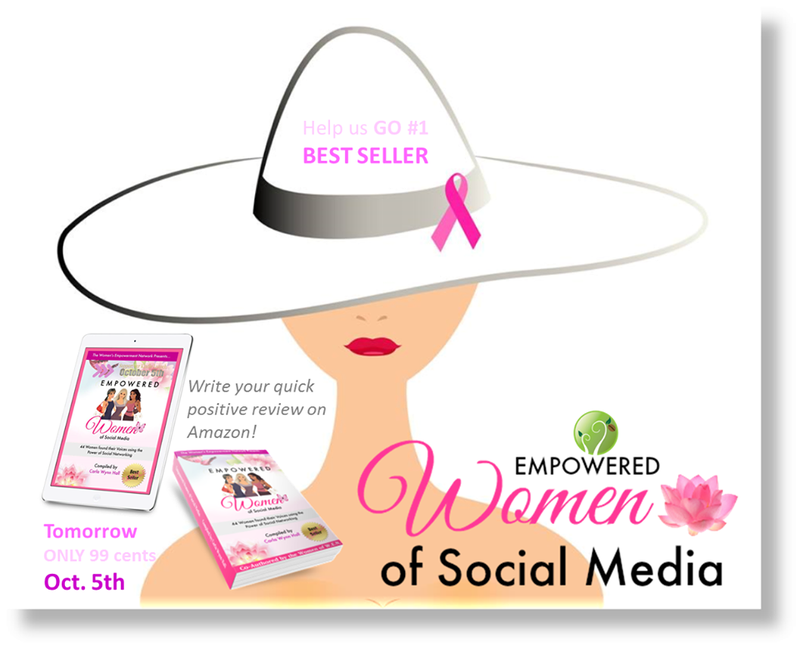 Read the stories of women who have survived breast cancer, were born with Cerebral Palsy and conquered misconceptions to become published authors, brave women who escaped domestic violence as well as educational material from experts in the fields of social media and marketing. When you read this book think about how social media has impacted your life. Our life coaches give you tips from their programs and our health coaches show you how to incorporate holistic and healthy habits into your life. Each author has a vibrant story, a unique style and a message hidden within. Social Media is a unique form of communication. Some women said that they were a little skeptical about Facebook until they found support. Compiler Carla Wynn Hall says "Facebook saved her life" during a time of emotional turbulence. VIP Angel Sponsor Elizabeth Hassan writes from Australia about how Facebook and the Internet in general has helped her friend Sarah who has "Liver Cancer" to find support groups to help her heal. The stories go on and on and each one is worthy of your attention. We proudly support the Breast Cancer Foundation and Break the Silence against Domestic Violence and our women who have written their story so their voice can be heard. Women women write, the whole world is a better place to be.